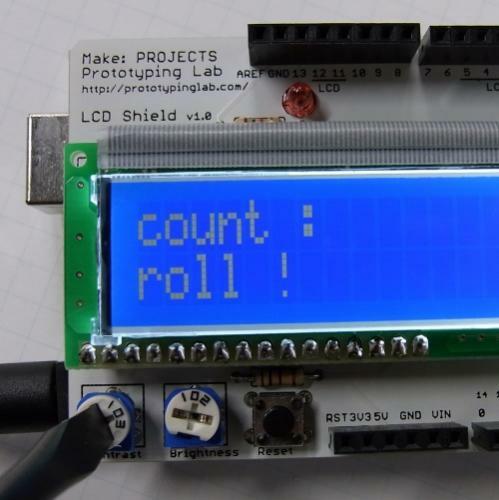 LCD Shield Kit adds a 16x2 Character LCD to your Arduino. 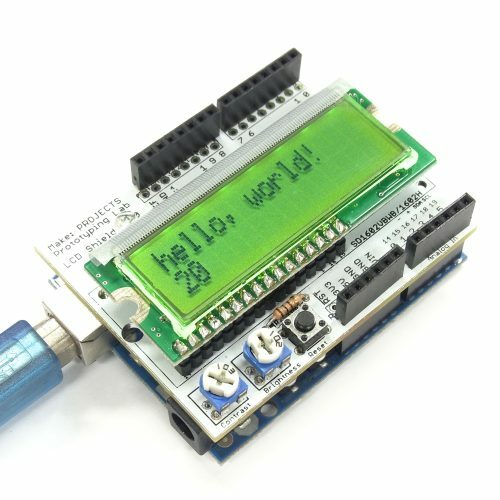 You can use it with Prototyping Lab Kit Vol.1 and/or Prototyping Lab Kit Vol.2. You can assemble the kit in about 15-30 minutes. The assembled kit works as in this picture. You can adjust contrast and brightness by the adjustable resistors. Please note that the kit in this picture is other version with different LCD in color. The kit in this page comes with a black on green LCD.